"Fireside Christmas" Too will grab your attention and creativity with the additional digital background papers that this add on product has to offer. These background papers are NOT included in the FQB "Fireside Christmas" Collection, so please don't miss out! 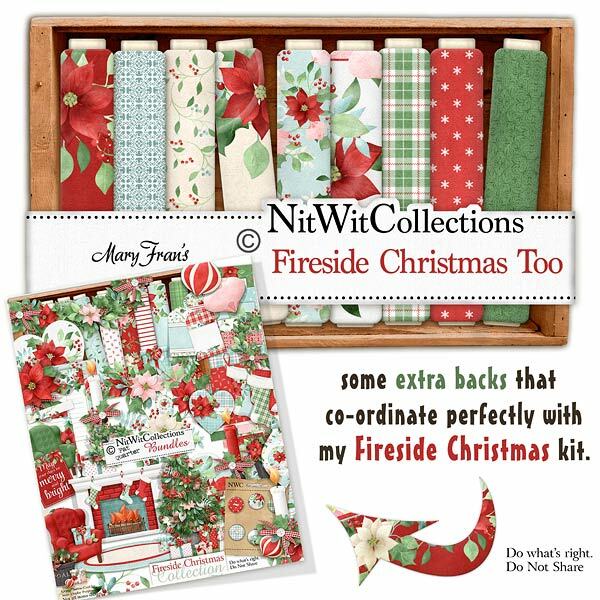 18 Digital background papers that coordinate and colour match my FQB "Fireside Christmas" Collection.